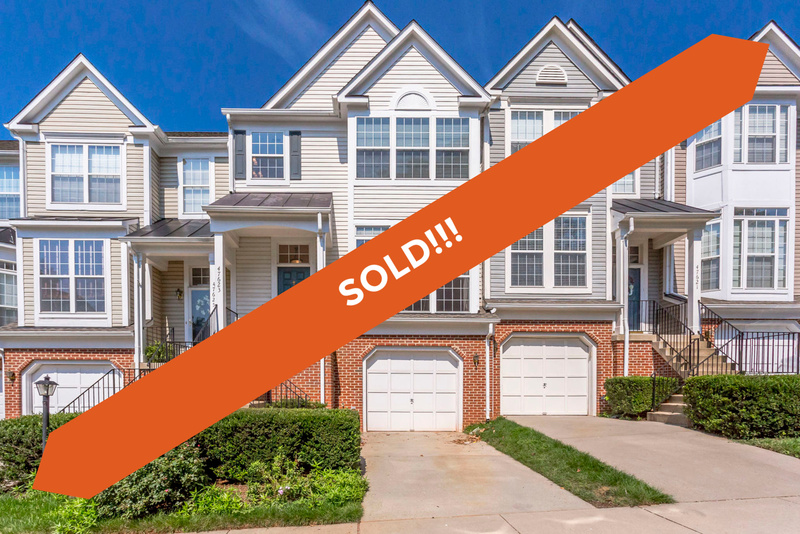 47623 Weatherburn Ter, Sterling, VA 20165 just SOLD for $412,000! Find out how much your property might sell for with our Instant Home Value Estimator. We met the sellers of 47623 Weatherburn Ter. over ten years ago when they stopped by one of our open houses! The timing wasn’t right then, but we stayed in touch and kept them up to date with changes in the market over the years. When they were ready to officially make a move, they reached out and we got to work! They wanted to purchase their new home before listing Weatherburn. So once they were moved into their new place, they got to work to get Weatherburn ready for the market. They painted the oak cabinets Swiss Coffee and the island Kendall Gray, both by Benjamin Moore. They added new hardware for a final splash of chic. The light colored granite with grey veins popped nicely against the island. Since they had to redo the sink as well, they opted for the popular farmhouse sink style often showcased on HGTV shows. A new faucet added the final touch. 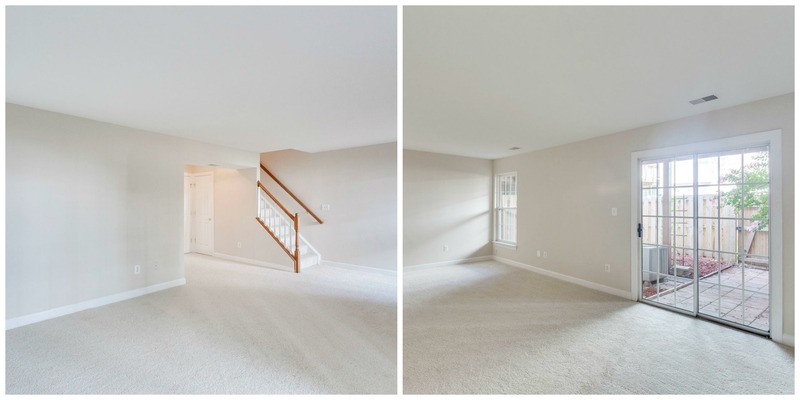 They also installed fresh new carpet throughout the home. The only thing they didn't update was the cherry colored wood floors. Upon further discussion with us, the sellers agreed that this was the key to getting their home sold in the price range they wanted. They took the house off the market for a week while Loudoun Valley Flooring did the sanding and staining. Selecting a dark walnut color instantly uplifted the home from "nice" to "wow!" We received an offer the day after we came back on the market and the home sold for $2K over asking price! The sellers were happy that they netted what they wanted from the sale and the buyers were delighted to get their dream home ready to go with modern updates. A win-win for all! Want to know how to get your home ready for the market? Sad you missed out on 47623 Weatherburn Ter? 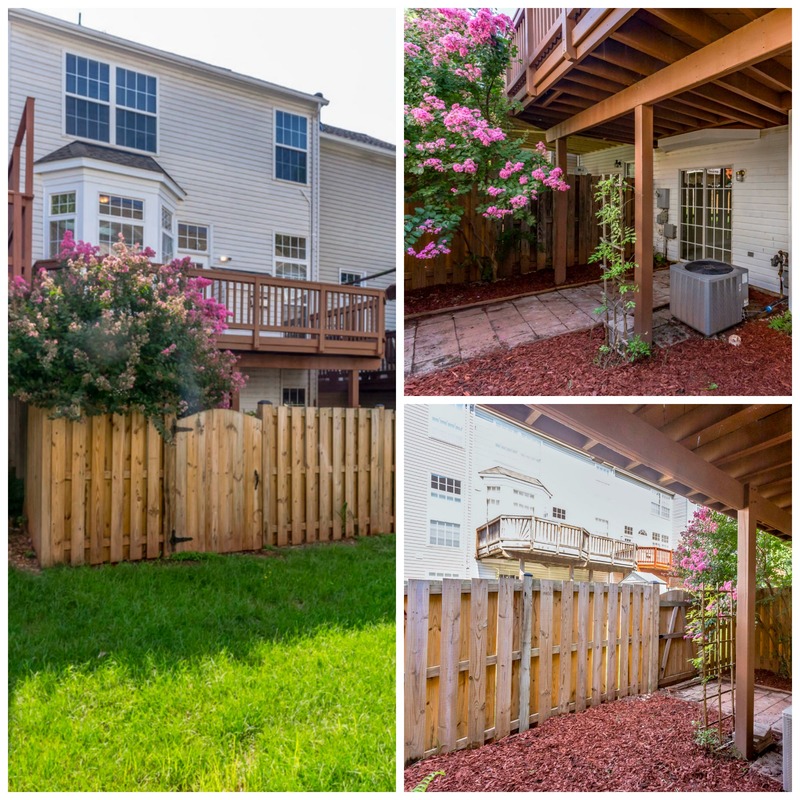 Take a look at these townhouses for sale in Lowes Island. Take a look at our orginal marketing for 47623 Weatherburn Ter. 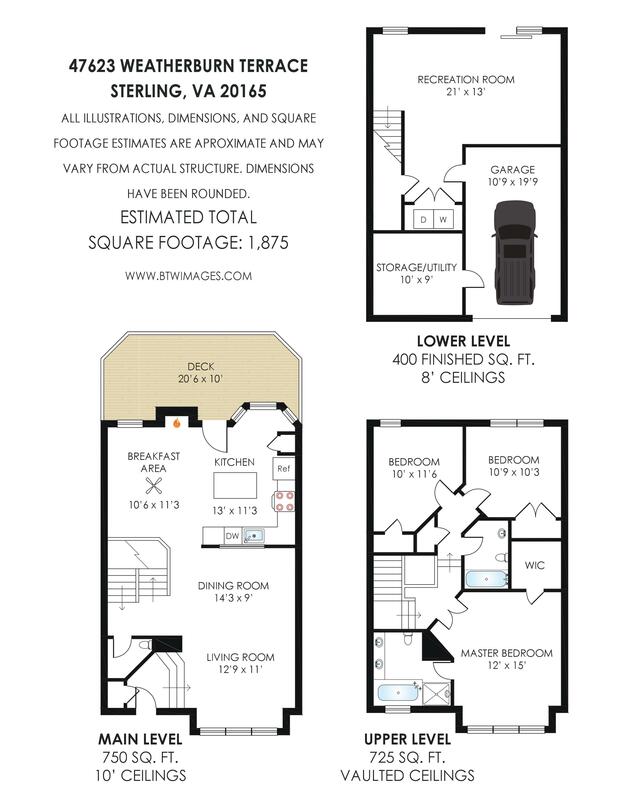 47623 Weatherburn Ter, Sterling, VA 20165 just hit the market! See all 30 photos. Wonderful Lowes Island townhouse featuring 1,876 sq. ft. of finished living area with many updates. 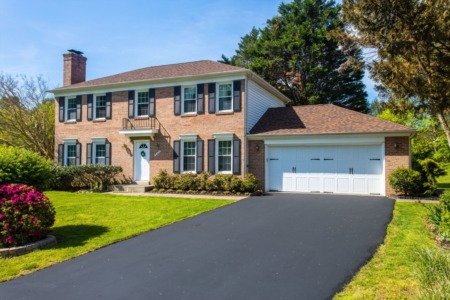 The entire home has been freshly painted, brand new carpet just installed, newer roof, HVAC and hot water heater - all you have to do is move in and put your personal touch on it. If you have dreamed of an updated kitchen, wait until you see this one! 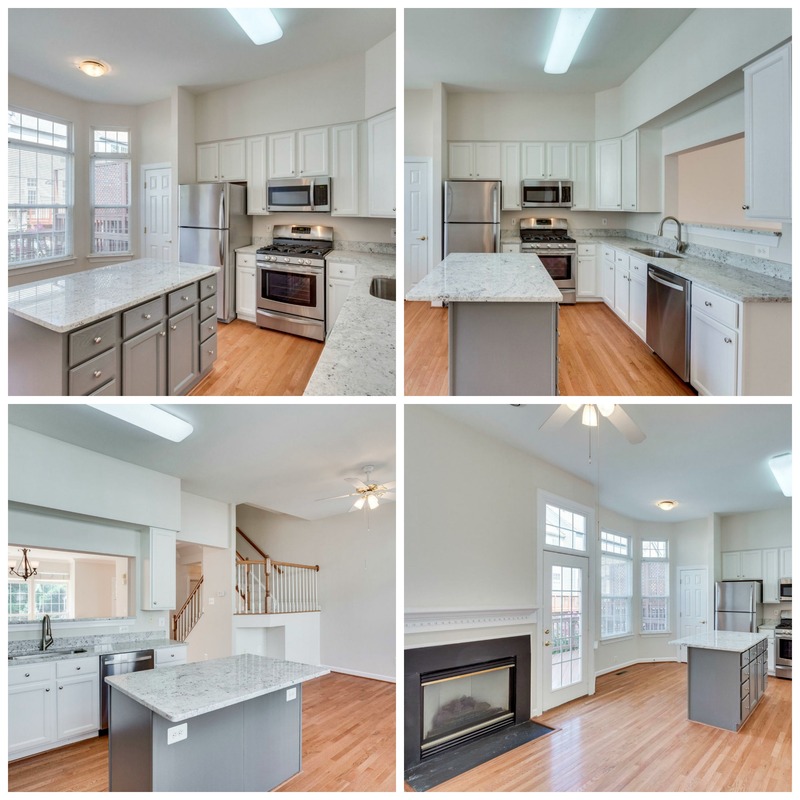 With newly professionally painted white cabinets, miles of granite, pantry and stainless steel Kenmore appliances, the chef of the home will be happy to cook here. Gather friends around the fabulous center island/breakfast bar with seating for two. Showcase your favorite meals in the formal dining area that opens into the living room with large windows and crown molding. 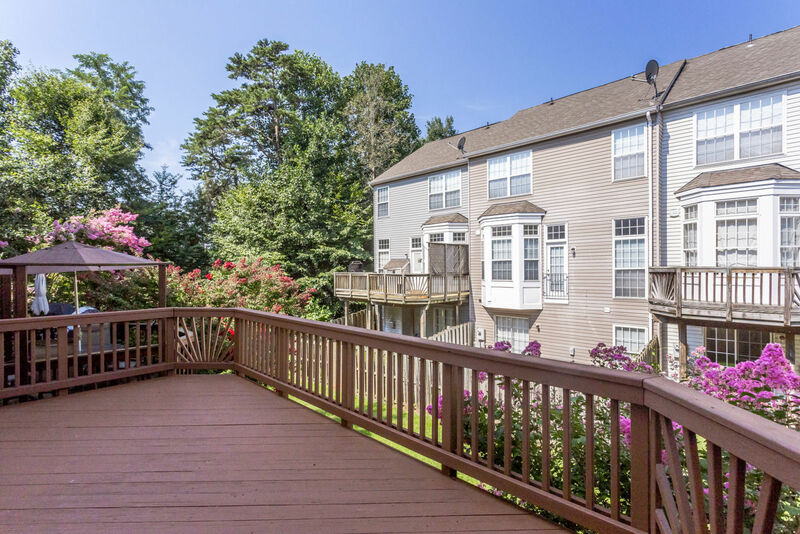 A door takes you outside to the amazing deck where Virginia seasons can be enjoyed while dining al fresco. Upstairs has 3 big bedrooms. 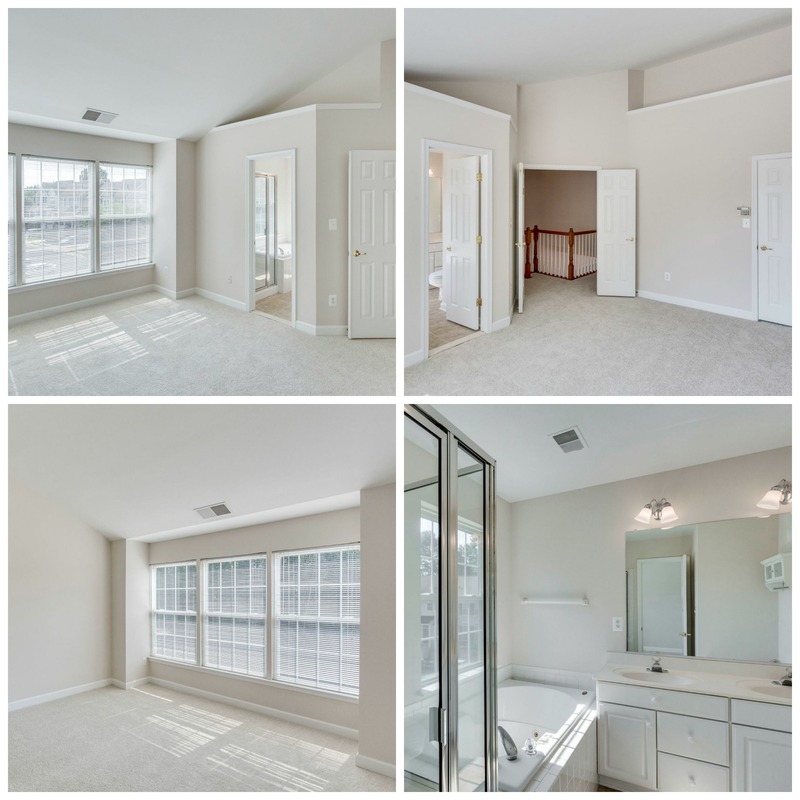 Relax in the master suite with roomy walk-in closet, vaulted ceiling and private bathroom with double sink vanity, jetted tub and separate shower. The additional bedrooms are spacious and bright. 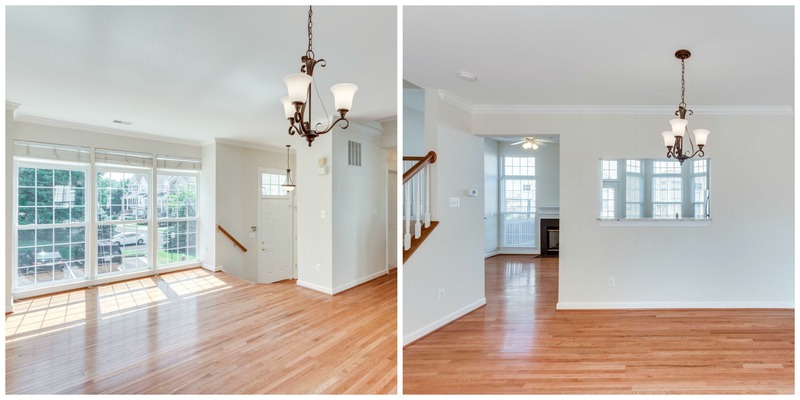 The finished walkout lower level includes a terrific wide open space for living and lounging. This level also offers access to the 1-car garage, perfect for keeping you dry when the weather turns bad. The rear yard is fenced and very low maintenance. Lots of extra parking for visitors. Very convenient community living! Do not miss out on all the Cascades HOA amenities including pools, tennis, community center, playgrounds and walking/jogging trails. Weekends were made for living here. Close to major roads, shopping, dining and more.